A one-hour new and original scripted romantic drama. 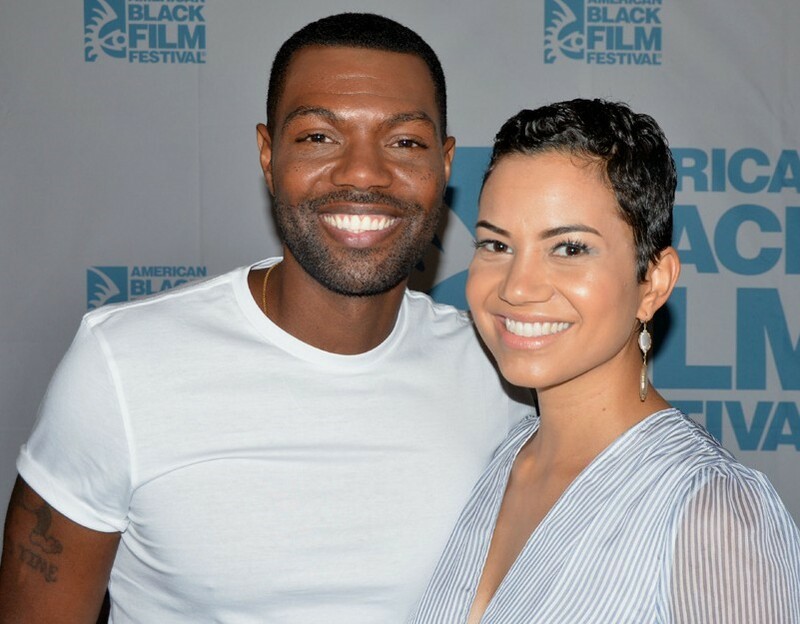 It is inspired by the real-life love story of executive producers Mara Brock Akil (Being Mary Jane, Girlfriends) and Salim Akil (Black Lightning). “Love Is ” revives the classic 1990’s romantic comedy, complete with a sweet nostalgia for the decade including the iconic fashion, music, and stars like Kadeem Hardison and Loretta Devine. The series follows Nuri (Weaver) and Yasir (Catlett), a couple from seemingly opposite worlds, as they chase their dreams and learn to follow their hearts. Told from the perspective of the couple’s present-day selves. “Love Is ” is presented as one big, epic story with the pacing of a feature film. WC: What I am thinking, what’s in it for them is giving women a chance to say “hey let me take a step back and look at the character in a man” not look for how much money a man has or how much he does not have. How is this man’s character? From there you can decide if you want to be with a person or not. VBS: We’ll let Michele speak on the men who will watch “Love Is.” What is their take away? MW: I am hoping that the men are encouraged to go after the women, they feel that they can go after. Be confident in who they are and to be truthful. On the big screen, Michele Weaver most recently shot the thriller “Nighthawks,” with Chace Crawford. She also starred in “Illicit,” with Vivica A. Fox; “Sister Code”, with Amber Rose, Drew Sidora, and Eva Marcille; and Syfy’s “2 Lava 2 Lantula!” Her other tele- vision credits include ABC Family’s “Switched at Birth” and FOX’s Cooper Barrett’s “Guide to Surviving Life,” among many others. View the complete “Love Is” interview at Val- derBeebeShow.com. Find more THAT CELEBRITY INTERVIEW; valderbeebeshow.com, youtube.com/user/valderbeebeshow, 411radionetwork.com and VBS affiliate broadcasters.